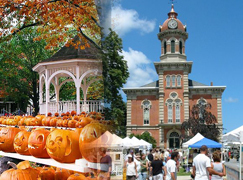 Chardon, OH is a beautiful city with people who care about the heritage of the land. These people care about precious memories, comfort and friendly living. Most people in Chardon, OH are about 37 years of age, but all age groups are properly represented. The average household income is 55,000, and the average home is about 299,000. The homes are beautiful, comfortable, and built with the true spirit of what makes a house, a home. Most of the houses here have a Colonial, Modern, and Victorian feel. The last ingredient is your family, but before you choose Chardon, OH, wouldn’t you like to know what kind of life awaits?